What are the main attraction of Kyoto? If the question is posed on the tourists, it seems the majority would agree that the main attraction of Kyoto is located in a very traditional feel in this beautiful city, Gion. Kyoto has many historical spots. Kyoto is also a place where travelers can experience the most traditional Japanese culture, which you might only be viewed on a television or a book. Kyoto more famous than central Japan: Tokyo. 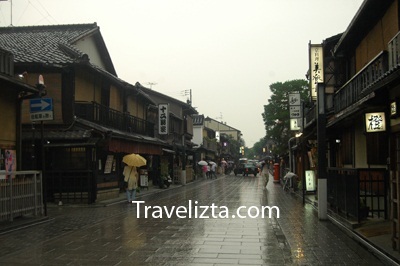 Kyoto still has a number of popular district as a place to live of Geisha, the name is: Gion. Gion is one of the most famous geisha's district in Kyoto, it's also very exclusive. 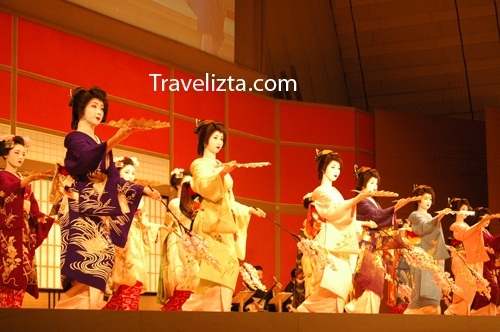 There are some alternative places to experience "real Japanese traditional culture", including the various ryoutei (typical Japanese restaurant) and Ochaya (tea house) who regularly features live art from Geisha (or 'Geiko' in Kyoto terms) and "Maiko" (apprentice geisha / young). 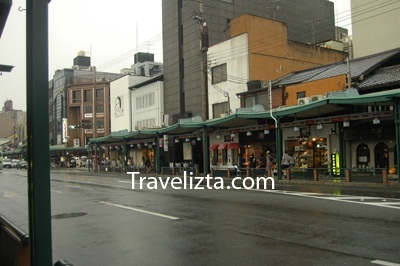 Located in Gion Yasaka Shrine which is also one of the most popular temples in Kyoto. Gion atmosphere itself is very abundant with of traditional architectural circles lure visitors who much interested Geisha performances. Gion District also has many interesting spots such as proper stretching "Shijo Avenue" (between Yasaka Shrine and the Kamo River). Yasaka Shrine's red white and in them many sales, as well as that there are performances singing 'humming' by monks Buddha. The atmosphere in this place filled with various traditional buildings. It is still relatively quiet so it is suitable visited by those who are entangled issues and want temporary solitude, also with the beautiful landscape which make anyone feel at home. If you want to visit Gion, there will be some points which should be noted as the first, you must first determine your exact place before coming to Gion. Another popular festival which is usually held at the Gion Matsuri. Gion is believed to be the most popular festival in Japan. With a view typical Gion, some passed as Kanni Temple temple surrounded by trees ocha tea. Then there are the Yasaka tower with pagoda. Search for DISCOUNTED HOTEL in Kyoto Here!